My previous post (about Frazey Ford) set me thinking about my comment that I was not surprised that recording an album in Memphis gave it a different feel to what I would have expected had it been recorded in Vancouver. 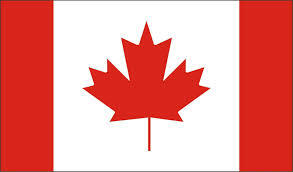 This led me to think about all the artists in my musical collection who are Canadian or who have Canadian roots – which was interesting and is reported on below. Equally interesting though is the extent to which Canadian artists are nurtured by their roots or whether they thrive better if transported south to the USA! The starting point is that there are three Canadians who have really shaped popular music and who feature heavily in my music collection. This is not to disrespect others who may yet do so or who have made significant contributions in their own way but who do not feature in my collection (namechecking Bryan Adams, Randy Bachman, Celine Dion, Nelly Furtado, k.d. lang or Pat Travers). (I would like to try k.d. lang – can anyone tell me where to start?). These are people whose work cannot be ignored! Young is the most maverick – the best of his work is breathtaking but he’s also released some bizarre and disposable albums. The thing is, he’s always interesting and it’s fascinating to see where he goes next! Mitchell is classy but sometimes inaccessible and detached (try as I might, I can’t warm to some of her later stuff). Which leaves Leonard Cohen. I’ve always loved some/much of his output and as I grow older, I find new depths to his music and lyrics. For me, he’s, the real guv’nor of Canadian musicians! Beneath the Big Three come Kate and Anna McGarrigle, who have given me more pleasure than the others combined but whose potential never exceeded their jaw-droppingly awesome debut album. At their best, Kate and Anna produced some of the best music I will ever experience but consistently great performances were not their strong point. Next come The Band (not entirely Canadian of course – and benefiting from the USA sensibility injected by Levon Helm) . And then there’s Martha and Rufus Wainwright (also half US),who are great but, for me, have yet to surpass either of their parents. Looking at my own music collection, the next names that leap out are Gordon Lightfoot (if I were older I suspect he’d feature more highly), then Ron Sexsmith (as a writer as much as a performer – which is also the case for Ian Tyson). Then Stephen Fearing and Frazey Ford and the Be Good Tanyas. After that I’d namecheck Natalie McMaster. For a country of fewer than 37m people, Canada (like Ireland) seems to punch above its weight in musical terms. I wonder why that is and I’m sure that I’ve missed some great musicians in this round-up! 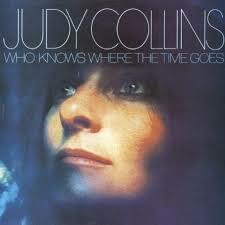 I’d heard of Judy Collins when I bought this, on vinyl, sometime in the late 1970s but, truth be told, the main reasons for acquiring it were the two songs by Leonard Cohen (‘Story of Issac’ and ‘Bird on a Wire’) and the title track (‘Who Knows Where the Time Goes?‘) by Sandy Denny, lately of Fairport Convention. I suppose, back then I thought of her as a cover artist (of Dylan, Joni Mitchell and, of course her hit single of Steven Sondheim’s ‘Send In The Clowns’). It’s only as time has passed that I’ve grown to appreciate just what a powerful and interesting figure she is. There was clearly something in the water in the USA as the 1950s gave way to the 60s since that period not only saw the birth of the whole Greenwich Village scene that nurtured Bob Dylan, Dave van Ronk and Phil Ochs but also Joan Baez, Judy Henske and Judy Collins. By 1968, when this album came out (on the Elektra label), Ms Collins had not only established herself as an interpreter of songs, she’d also shown a remarkably eclectic taste in what to cover. This album has has nine tracks. None are less than good and four are very good. Part of this is down to the instrumentation – which is pretty classy – featuring James Burton, (guitar/dobro) Stephen Stills (guitar/bass) and Van Dyke Parks (keyboards). The first stand-out (for me anyways)is ‘Hello, Hooray‘ (which between this recording in 1968 and the time I bought it, had been a big chart success for Alice Cooper – covers by two very different artists must be a feather in the cap for composer Rolf Kempf)! The second cracker is Sandy Denny’s ‘Who knows..?‘ which is up there with the composer’s own version. Given Fairport Convention’s notorious inability to translate talent into cash around this time, one can only hope that royalties from this track helped out with Sandy’s income! The third stand-out is Ms Collins’ version of Dylan’s ‘I Pity The Poor Immigrant’ which (just) avoid becoming too saccarine and the fourth is Cohen’s ‘Bird on a Wire’ (which, co-incidentally was part of the Fairport’s repertoire at the same time – someone should get them to book her for Cropredy!) I like all the other five tracks too, especially ‘Someday Soon’, which may not be a great song but is the only other one in my collection by Ian Tyson – composer of ‘Four Strong Winds’ which I have in differently beautiful versions by Neil Young and Johnny Cash!